The modern era has introduced us to many concepts and technologies that have changed the lives of many. 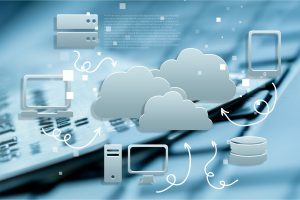 One such fine example is cloud computing and its ability to enhance a business’s output by providing improved collaboration and enhanced communication. As a business, these are vital aspects that can enable it to achieve more in less time. Without proper communication, a business will fail miserably in gaining new clients and even find it difficult to improve its functioning. You see, not only is the cloud a good idea, it could mean all the difference in the world. Picture this. You are the supply chain specialist with an oil and gas company surveying remote locations for prospects. Contacting headquarters demands and enquires which are on high priority as field work cannot suffer due to late dispatch of material for their tasks. A cloud network, in this case, would help everyone involved. Field engineers, headquarters and all concerned can effectively work with everyone being updated by the minute and also coordinate with enhanced accuracy. This would lead the business to achieve more in less time. With workers willing to work from home, the cloud can help with the communication of tasks, schedules, assignments, input, etc. It can be a complete solution for the remote worker to be able to hand in their work and also contribute to the operations of the business in a positive way. This option is widely popular which has made it possible for a business to run 24/7, regardless of its staff location. Office-less workers are high in demand and lower a business’ expenditures, making it cost-effective and practical in implementation. Relevant people with skills are warranted to meet specified tasks. Therefore, hiring those employees with up-to-date and qualified credentials, along with the cloud for communication, helps kill outsourcing and provides a steady employment base for many. Also, decentralization of resources is going to help with more and more employees out of the office. This leads to an appreciation of the notion that it would cost much less in terms of expenditures, as electricity, utilities, rent, etc. are all reduced or mitigated. Every department in all businesses can easily benefit from effective inter-collaboration between various sections of a business. With ease in sharing and receiving information vital for tasks assigned to, let’s says, accounting and HR, using clouds for communication and collaboration will enhance the output by collectively striving towards a shared and mutually agreed upon goal. Visible change can be seen in employee responses and department functionality with smooth operations and, above all, this is ultimately a factor of growth which contributes to its enhancement. In the past, it was virtually impossible for businesses to reach out to their own community. Due to the availability of technological wizardry that was only reserved for larger businesses like corporations, going global is easier with the cloud for communication than ever before. Research and development into modern technology have made it possible to procure at a far cheaper rate than fifteen years ago. Even small businesses get equal opportunities to invest in their own IT systems to enhance or even upgrade themselves to better handle customer relations and enlarge its threshold of clientele. Clouds can be used for more than one purpose and some systems can perform multiple duties simultaneously. Geographically located all over the world, clientele and employees enjoy the benefits of enhanced features of the business operations, enabling business success.